Out of all of the products in the Celestolite Cosmic Firming Collection, the Cosmic Firming Mask was the one that I was most excited to try. As a woman who is utterly obsessed with finding the latest and greatest in the world of beauty masks, this was one of the first products on my list to test. Everything, from the look of the container to the feel of the product to its effects, proved to be absolutely amazing and blew my previous conceptions out of the water. 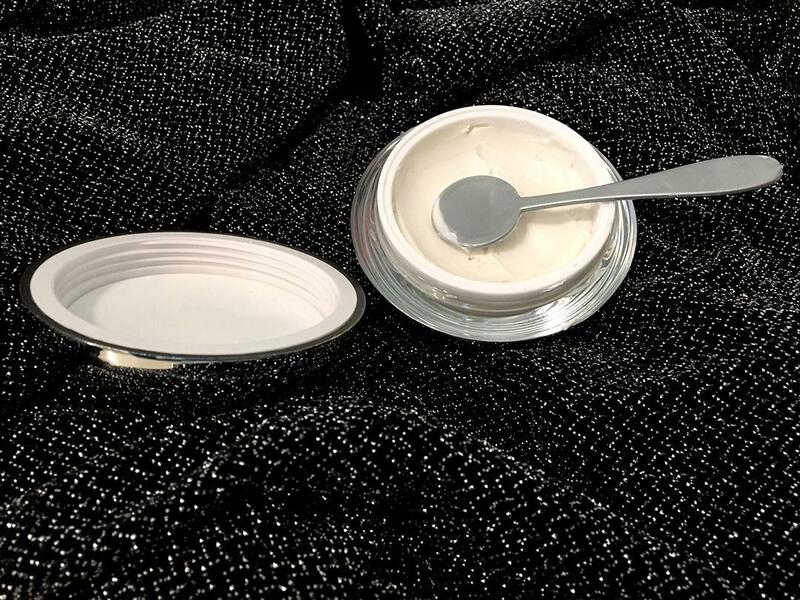 The near immediate effects of this firming mask on my skin and the luxurious feel have truly made me a believer in the miracle of firming skincare products. 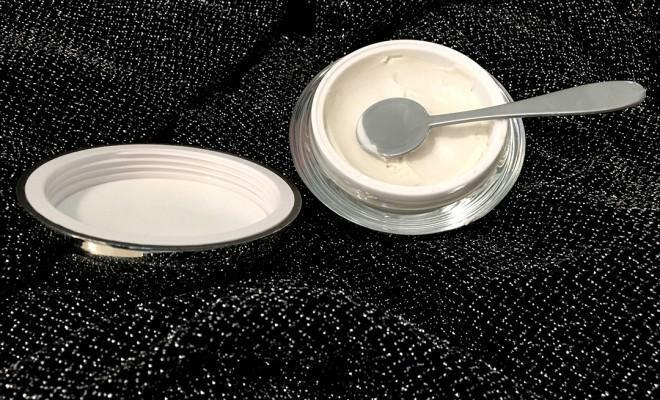 Upon first impression, I was a little intimidated by how elegant and high-end the container and spoon looked for this cream. A beautiful mirrored silver finish on a sleek container is complemented by silver and black accents. The spoon itself is a matte gray and rather lightweight, although very easy to use and clean. Upon opening the container, a delicate aroma that can only be described as very clean can be detected. The mask itself is very thick and creamy, making using the spoon an absolute necessity. It blended well over my skin with very little of the product in use. As I let the mask set, I noticed that my skin felt slightly tingly in certain places that tended to be dryer than others – around my nose and chin – but not in an unpleasant or painful way. It took some time to wash the mask completely off and I ended up having to use a towel to get the remnants. Despite this difficulty, I have to say that the effects of the mask were wonderful. My skin felt firm and very hydrated, and my problem dry spots along my chin and nose actually looked smooth. I didn’t notice any immediate physical changes in terms of firming. After incorporating this mask into my skincare routine for some time, I have noticed small changes in my physical appearance. Not only does my skin look and feel smoother, but also it also actually looks firmer along my jawline and chin! The slight sagging I had previously noticed has been pretty much erased since I started using this mask. Needless to say, this mask has now become a permanent part of my skincare collection. Next Story → What’s Behind the Myth of Negative Calories?